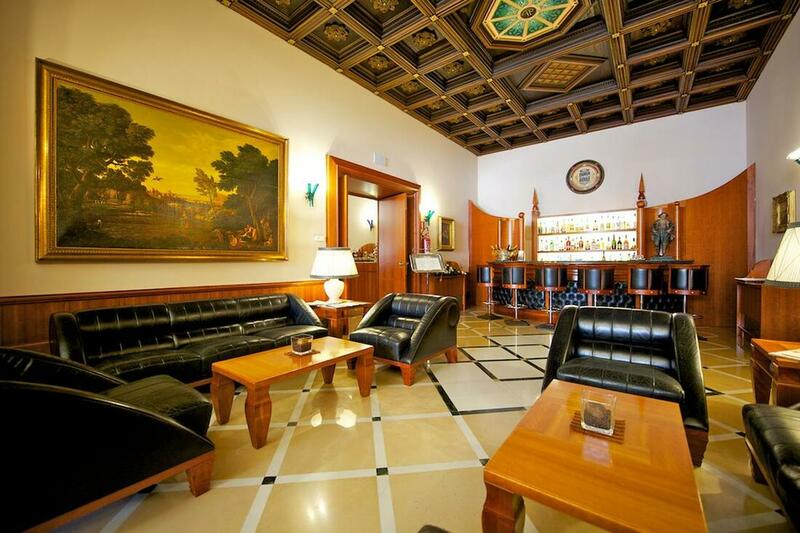 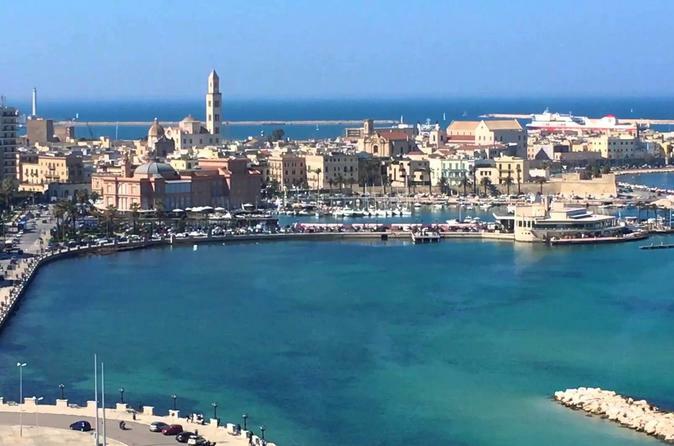 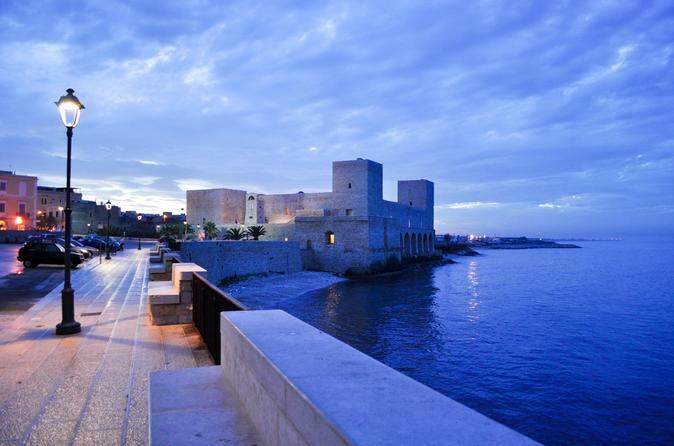 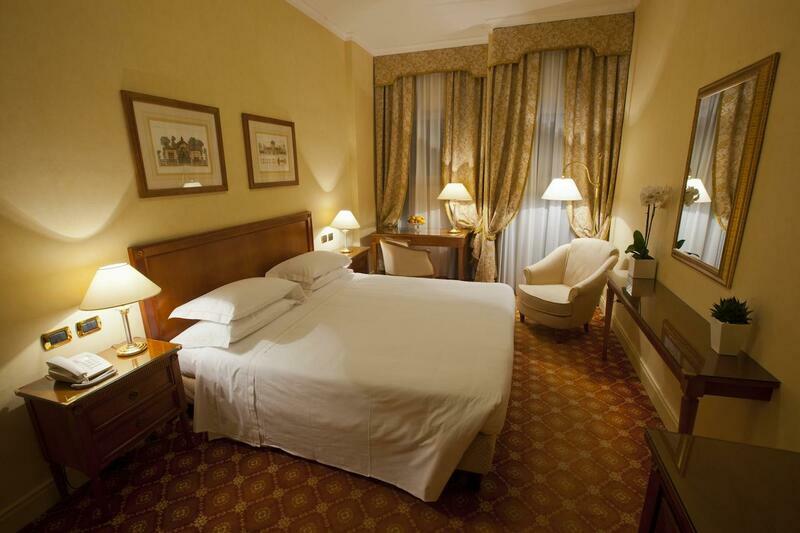 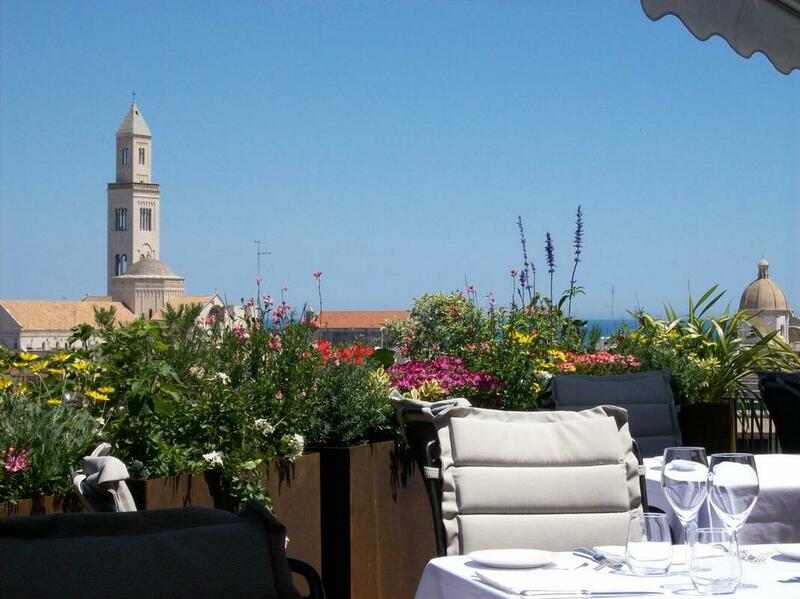 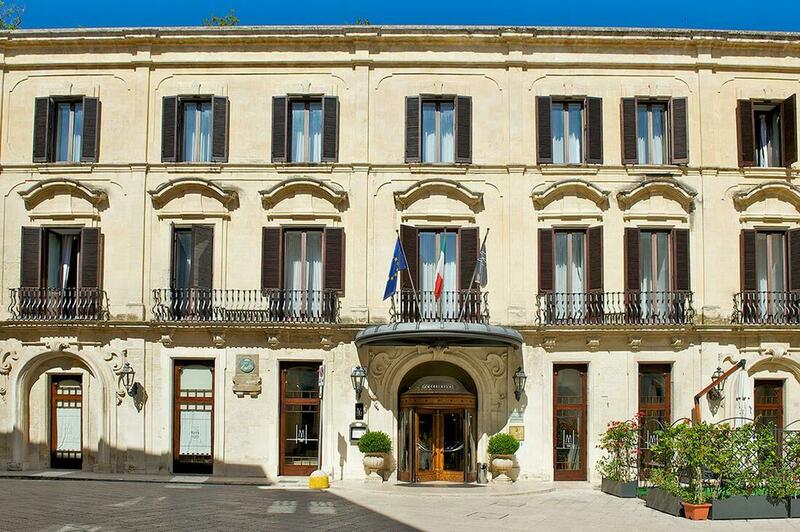 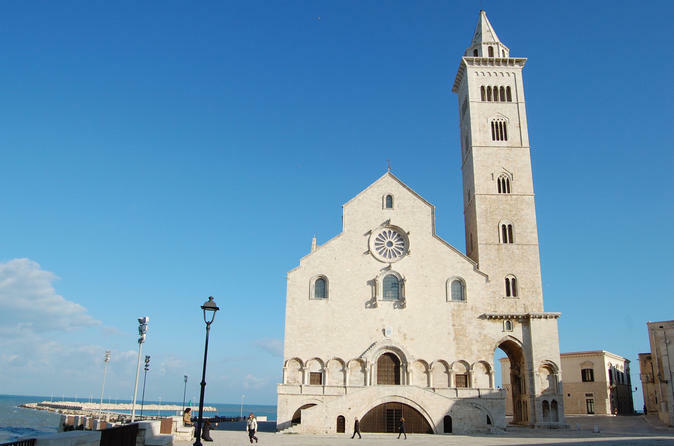 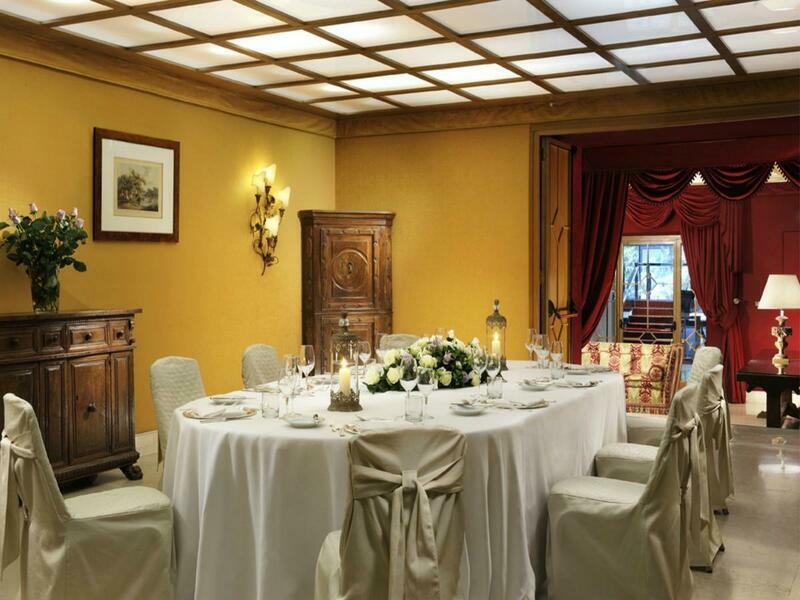 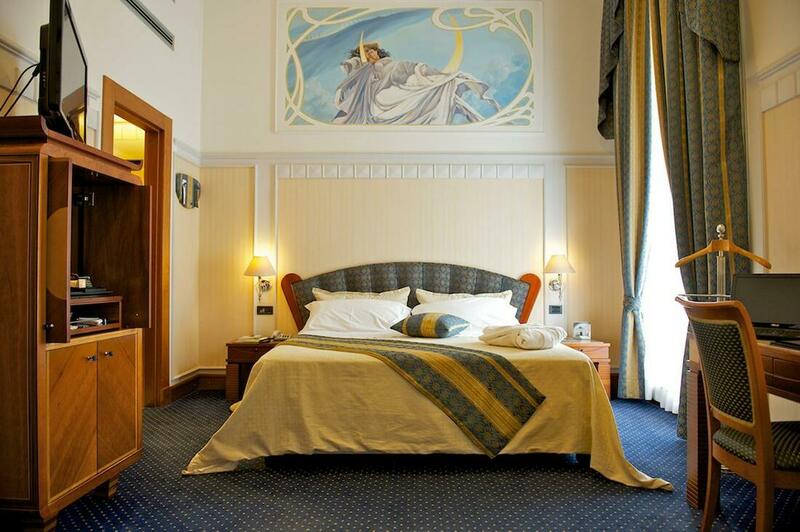 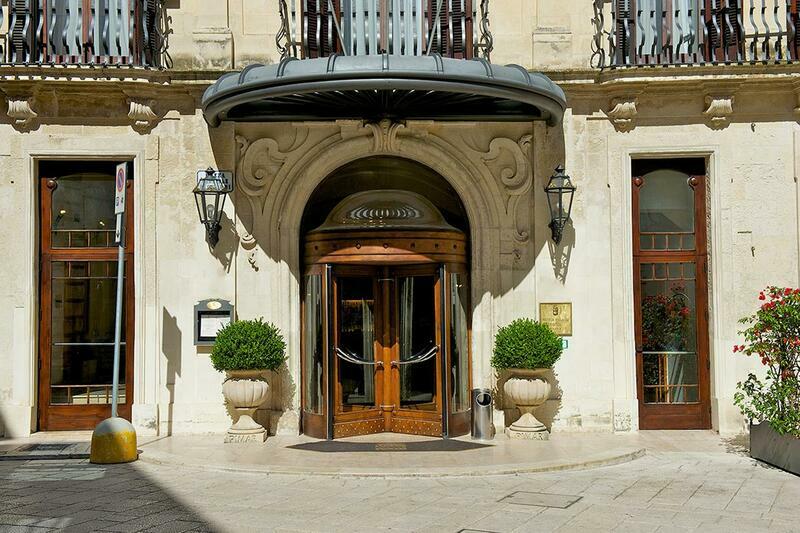 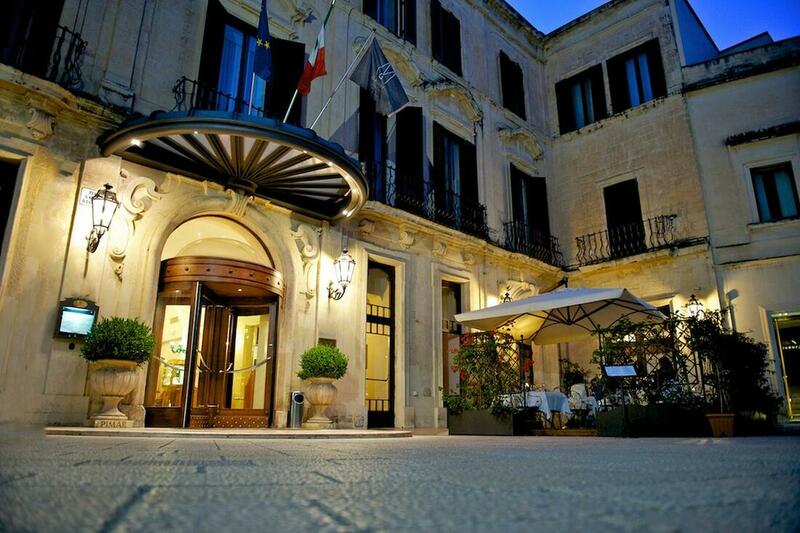 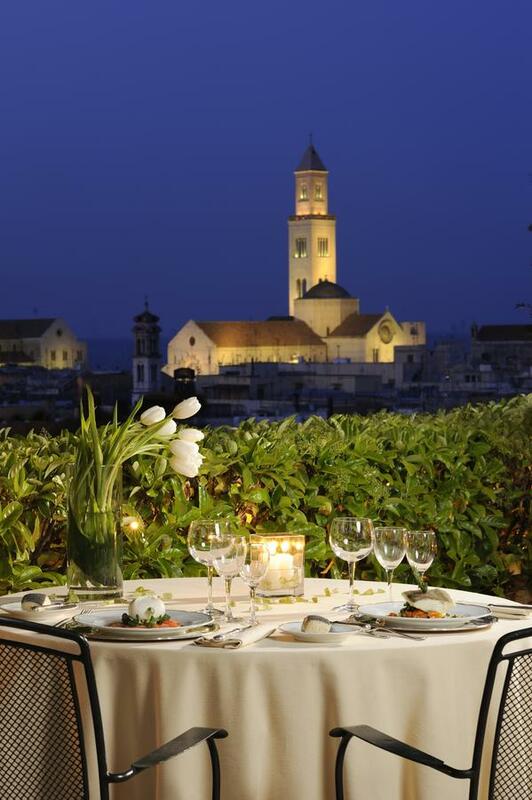 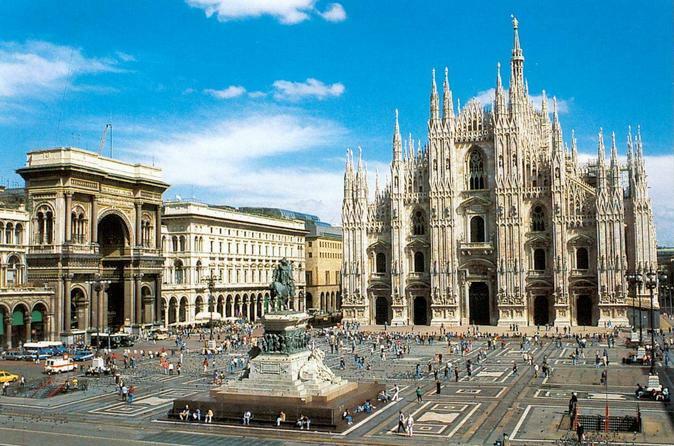 Transfer fro Bari airport to your hotel in Bari, which is located in the city center. 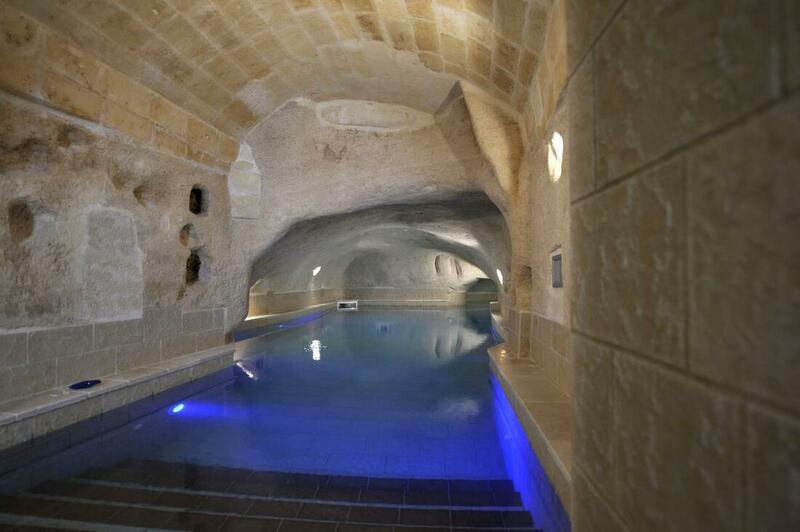 Rest of the day at leisure. 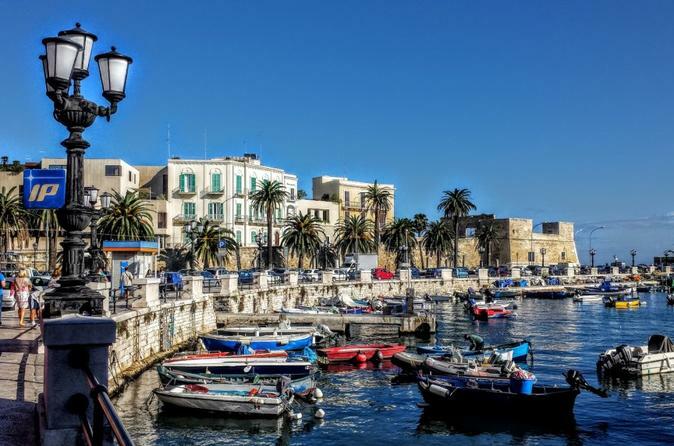 Discover picturesque old Bari quarter and historic attractions crowded into a maze of narrow streets with a private guide in the morning. 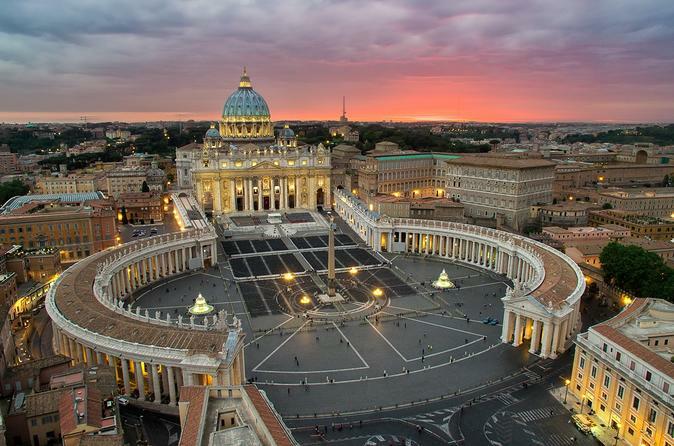 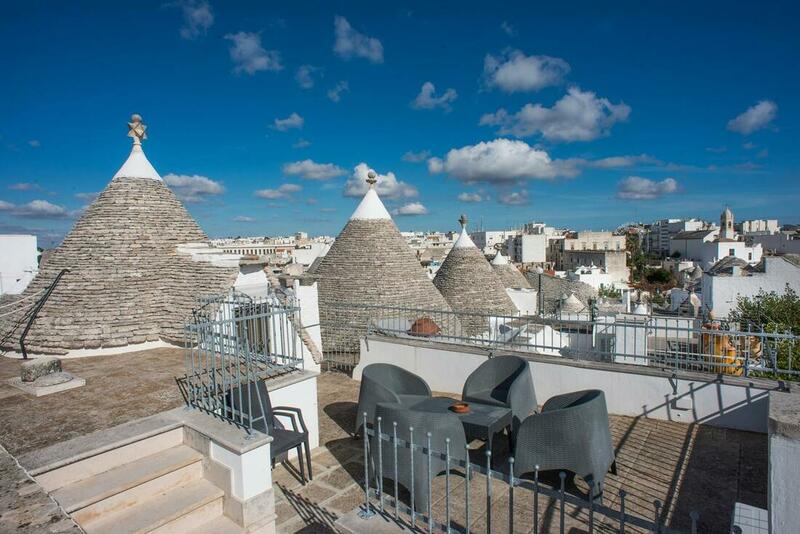 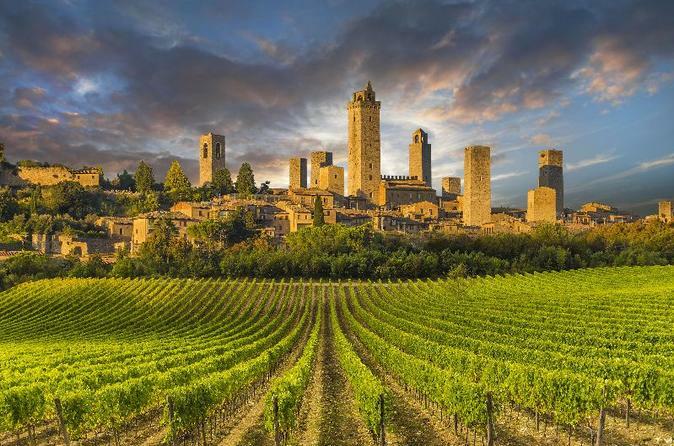 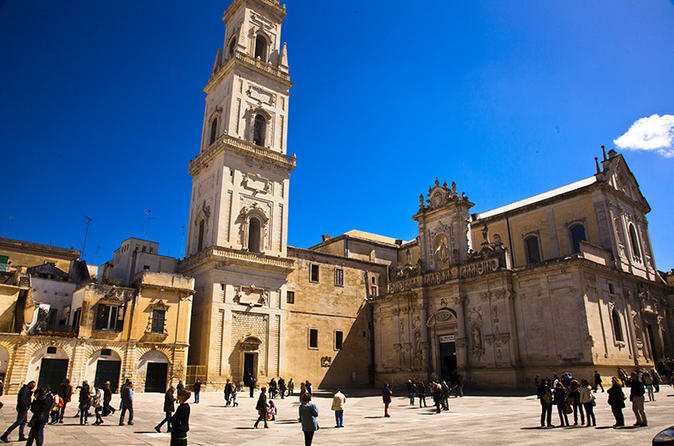 Visit the highlights of the capital city of Puglia, like the Basilica of St. Nicholas and the Swabian Castle. 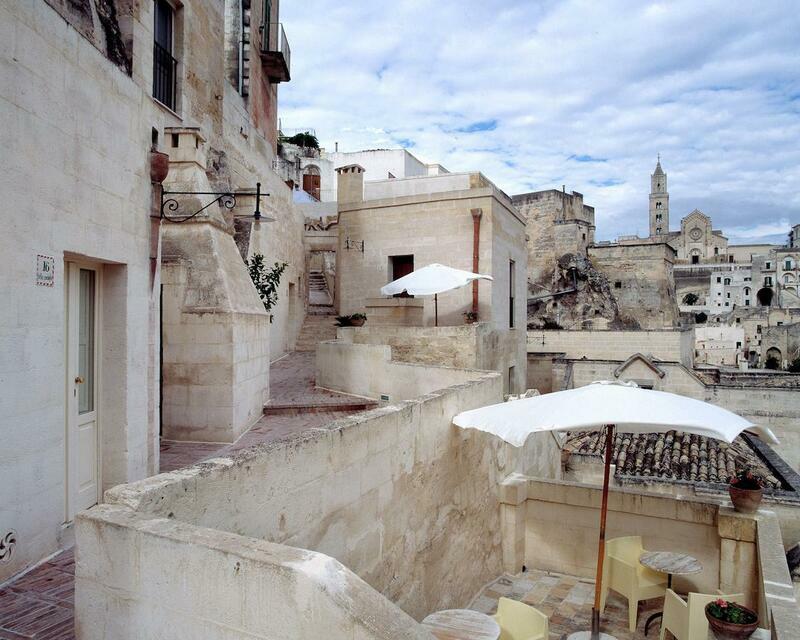 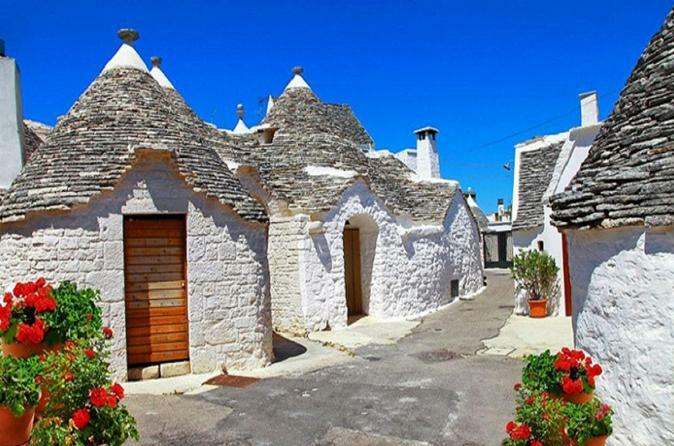 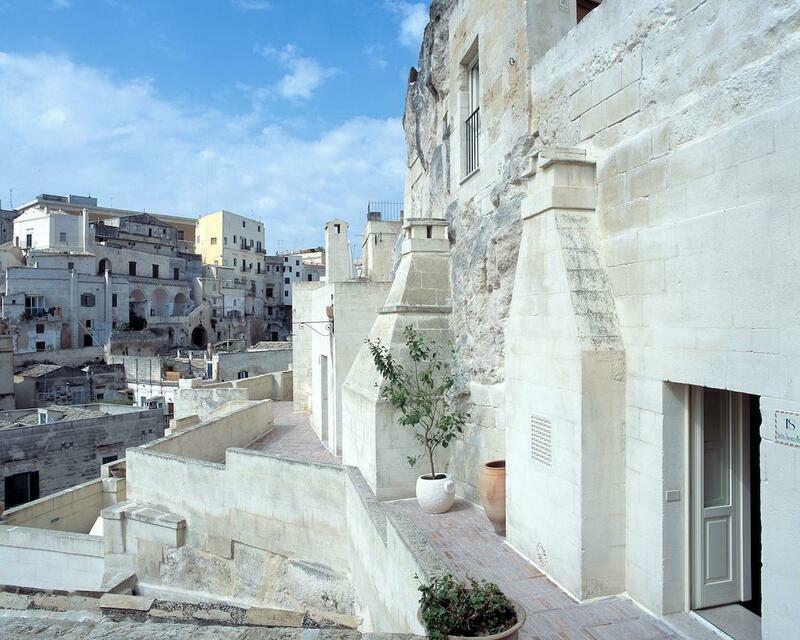 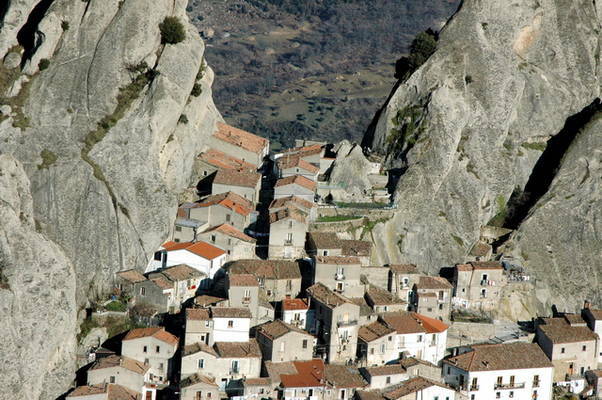 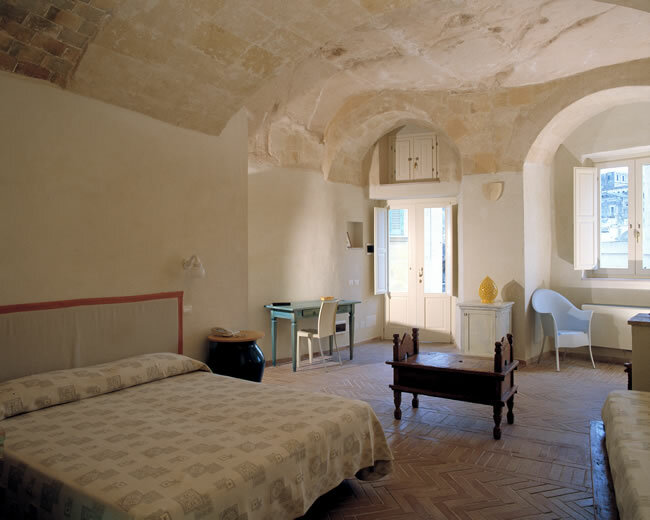 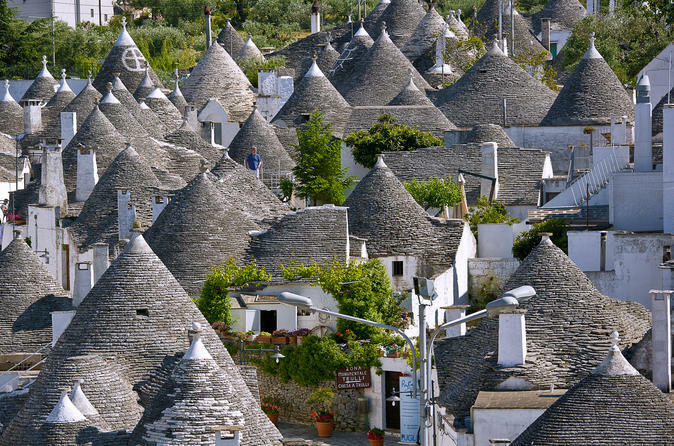 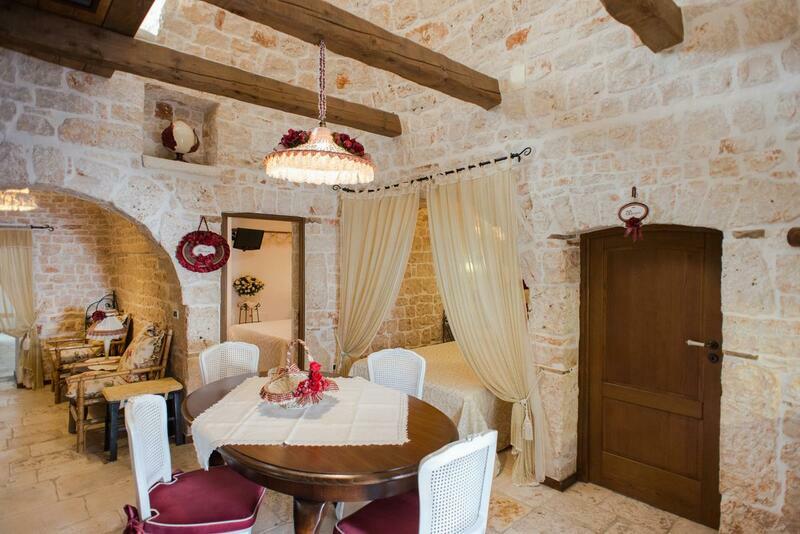 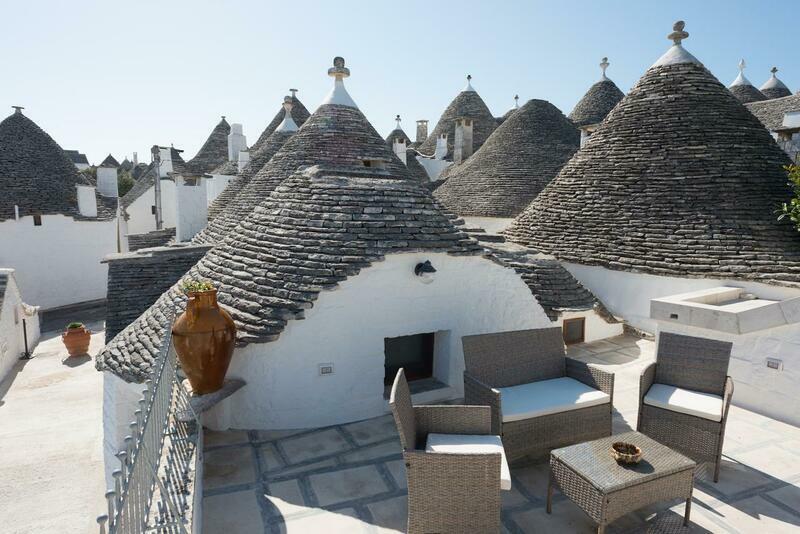 After this, departure with a private driver to Matera, where you check in at your hotel in the old part of the city. 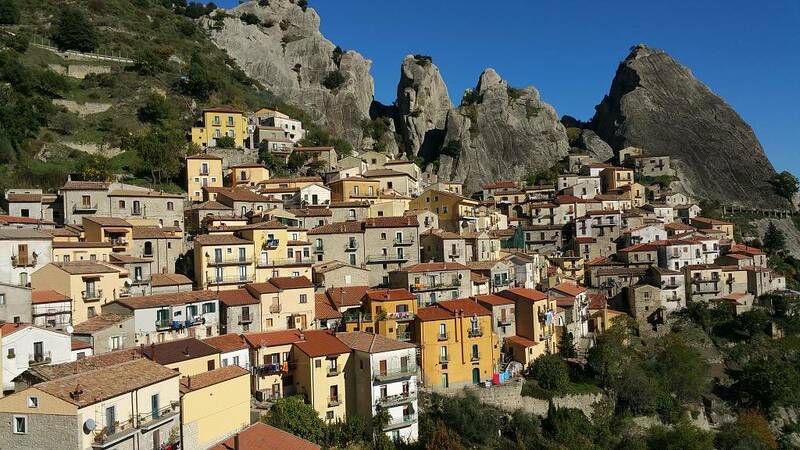 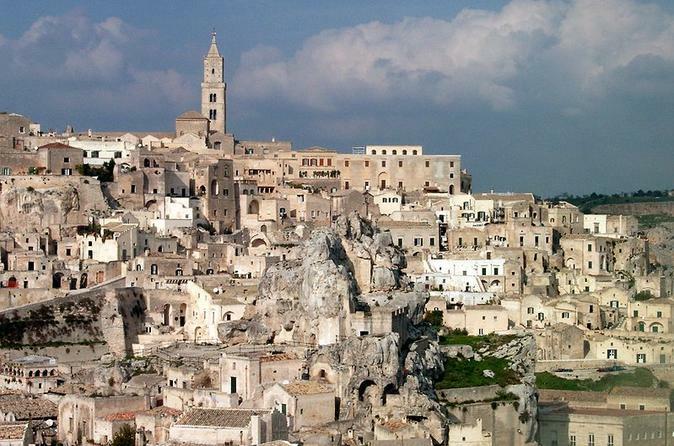 Guided tour of Matera in the morning and time at leisure in the afternoon. 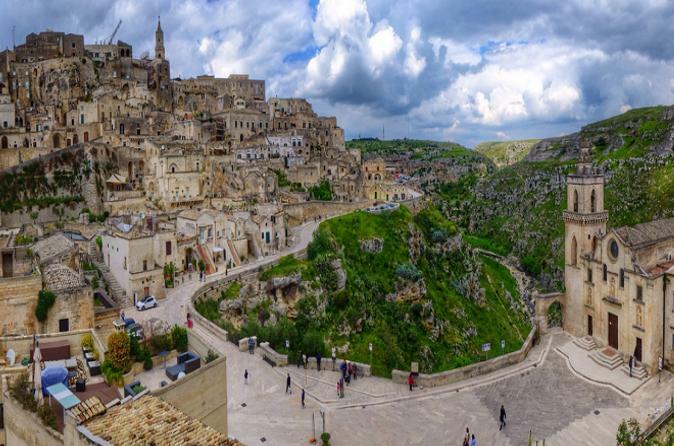 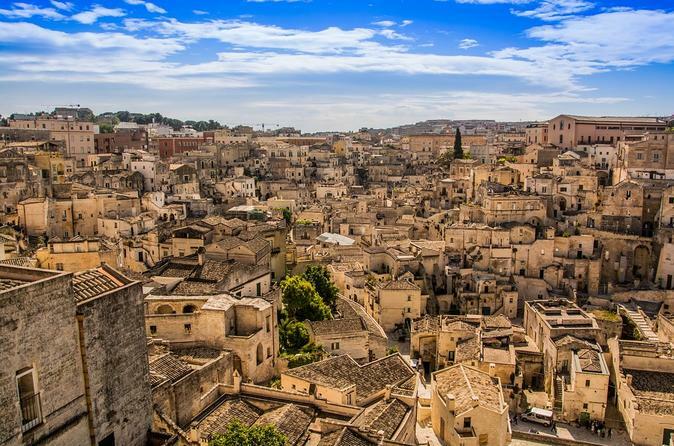 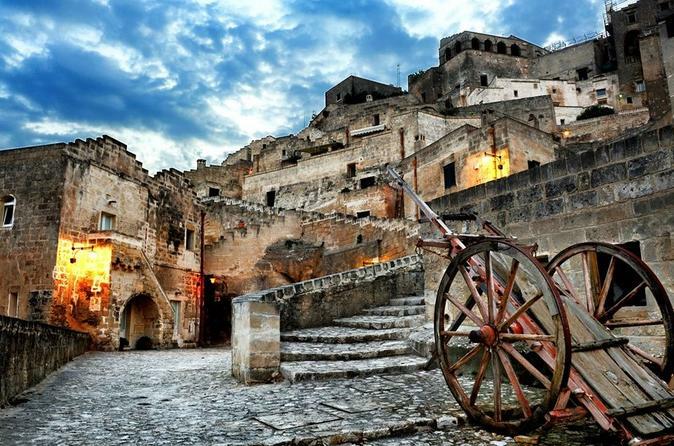 Known as the "Underground City", Matera is one of the oldest continuously inhabited cities in the world, having been inhabited since the 10th millennium BC. 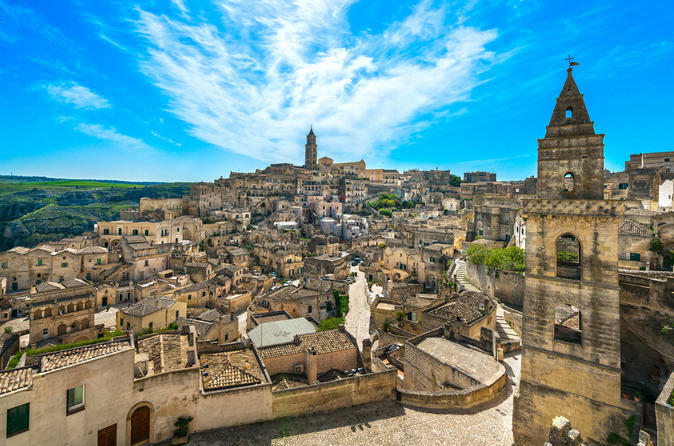 Explore the incredible caves, including churches carved right from the rock, that made Matera a UNESCO World Heritage Site and inspired Mel Gibson to use the ancient town as the setting for his 2004 film "The Passion of Christ." 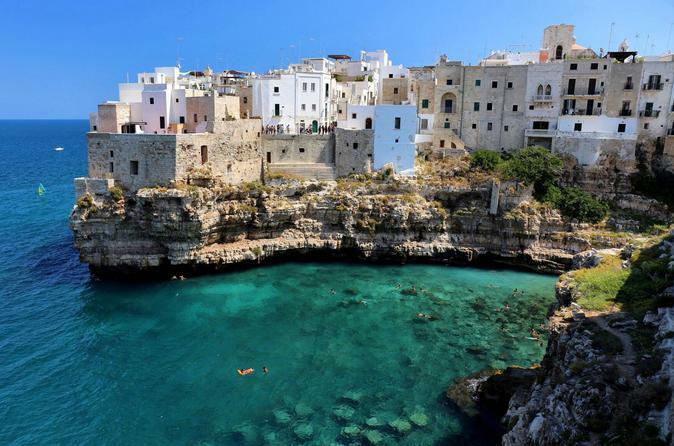 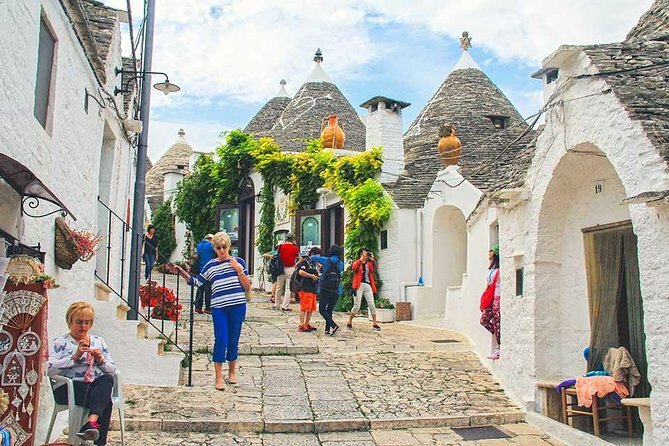 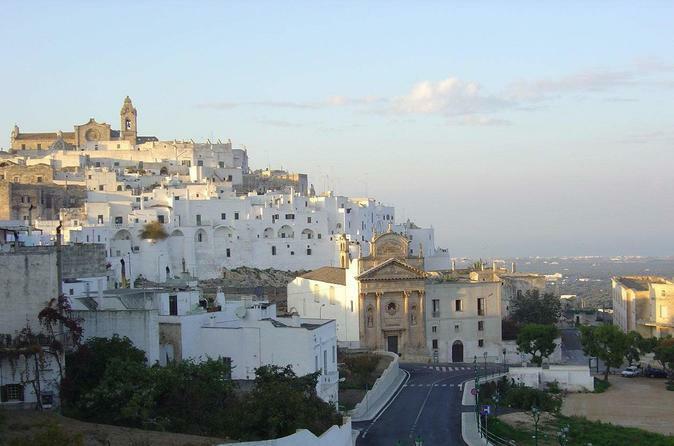 Departure with your private driver for Polignano a Mare and visit the old town, a shining gem on the coast of Puglia, perched atop a 60 ft-high limestone cliff above the crystal clear waters of the Adriatic Sea. 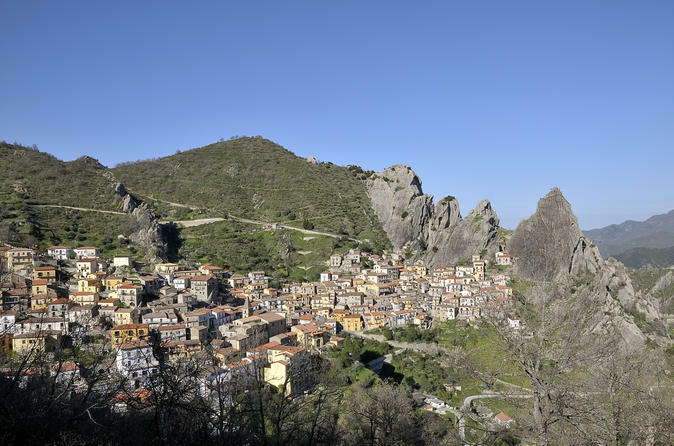 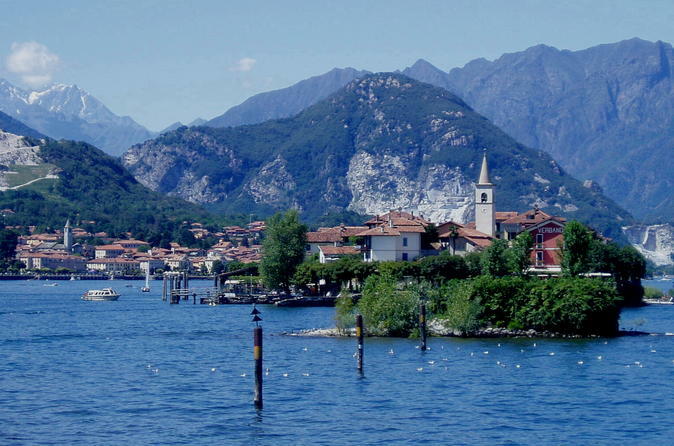 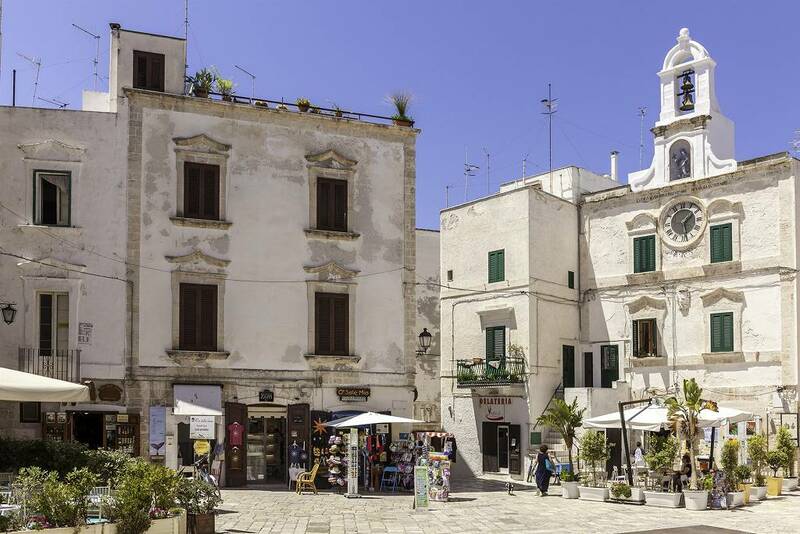 The town is famous for being the birth place of the great Domenico Modugno, who wrote and sang the massive international hit, "Volare". 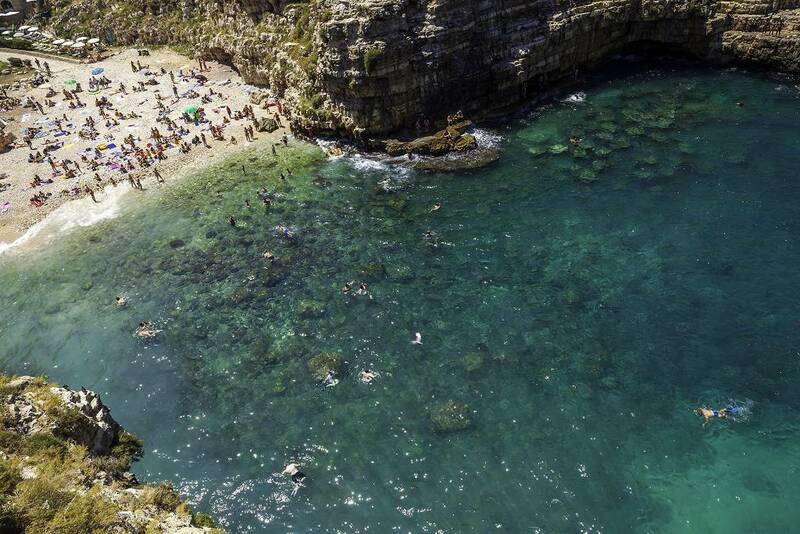 In recent years the town has hosted the Red Bull diving competition, attracting crowds of thousands of people! 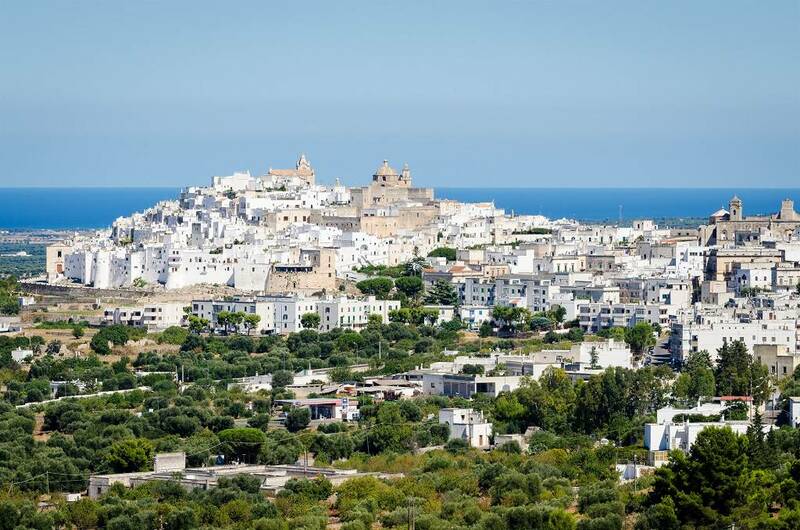 Departure for the town of Locorotondo, driving through the Puglia countryside. The historic part of the town is a whitewashed maze of little lanes lined with historic buildings. 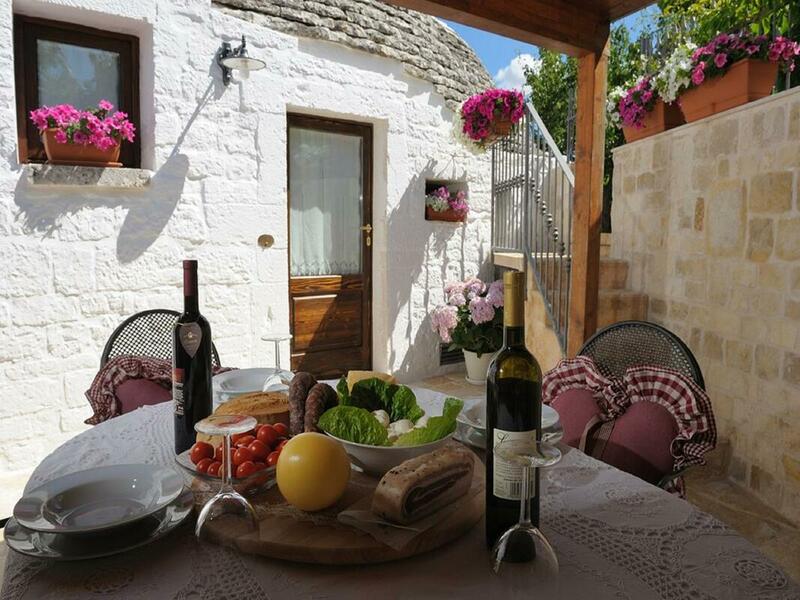 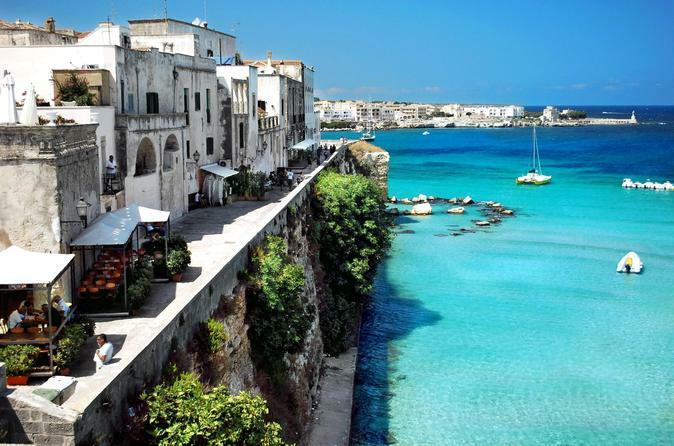 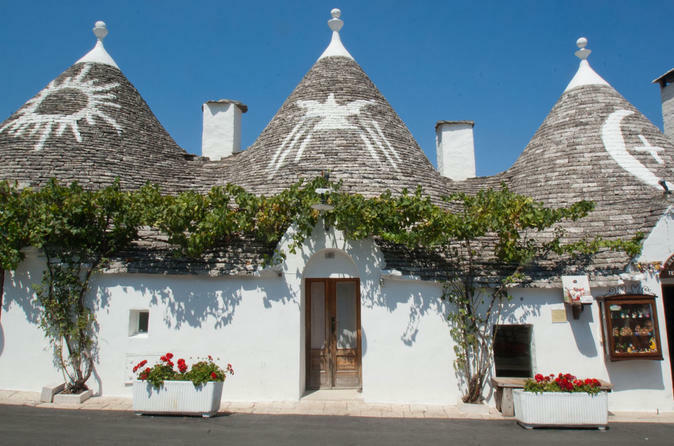 Locorotondo is one of Puglia's prettiest towns with a easily-walk able center and a calm, laid-back atmosphere. 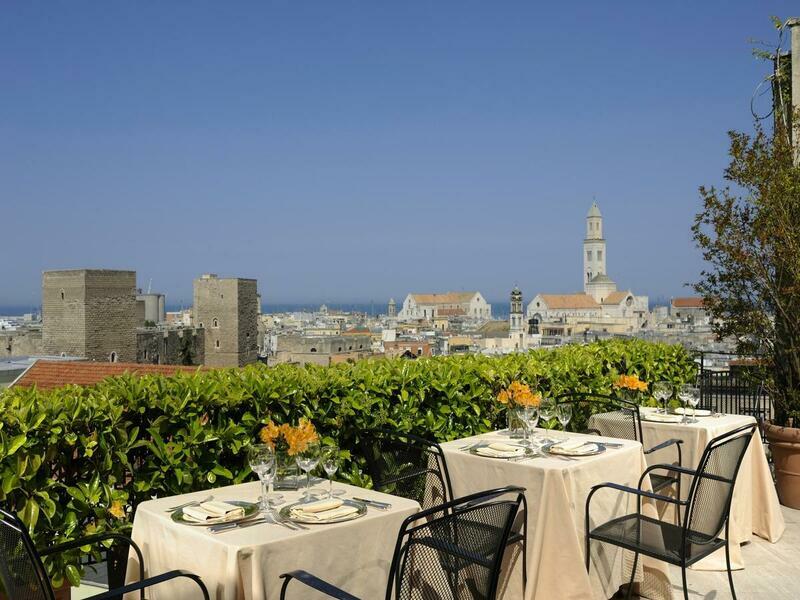 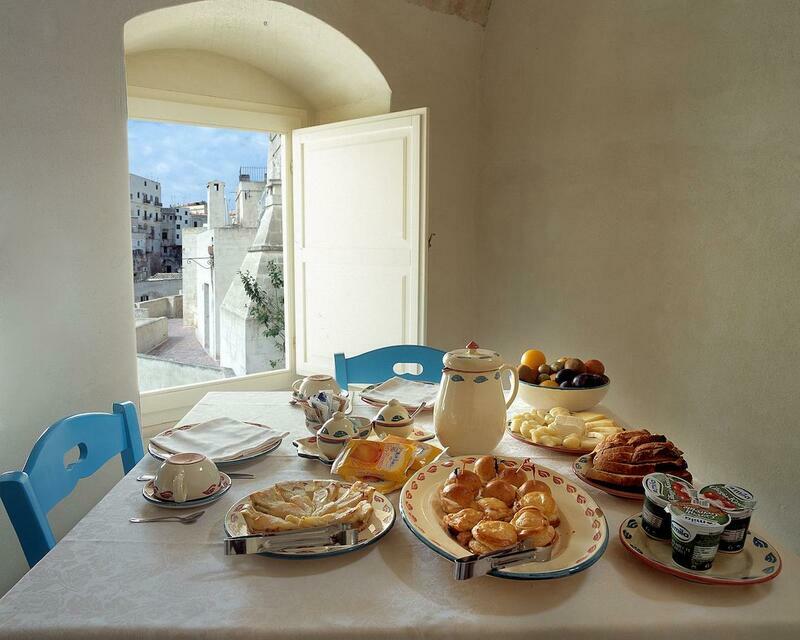 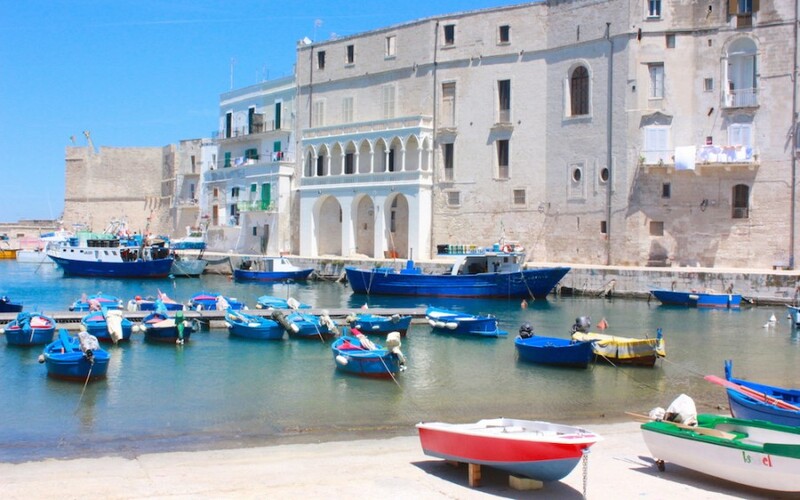 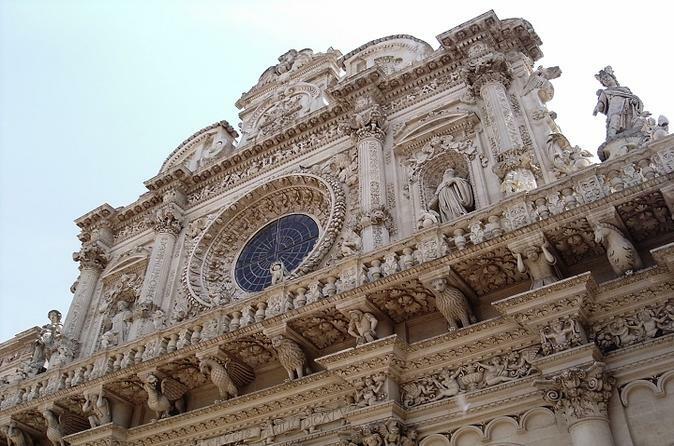 After a walking tour of the town of Lecce in the morning, you depart with your private driver and guide for Puglia's most Southern part, the Salento Peninsula. 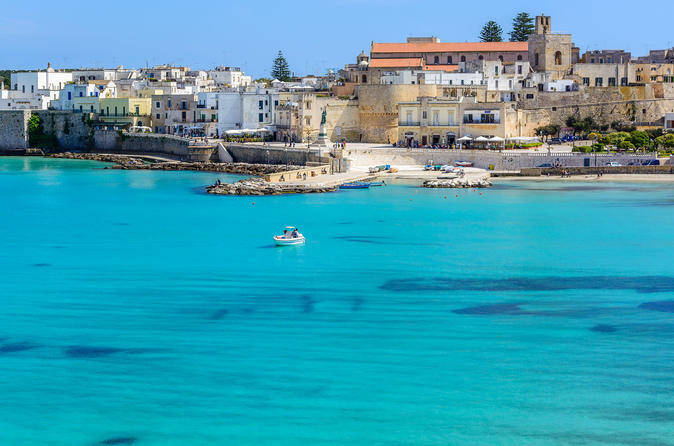 Lots of good beaches dot the coast as well as picturesque towns with Greek-style architecture like Otranto, where you visit the old town with the stunning Cathedral. 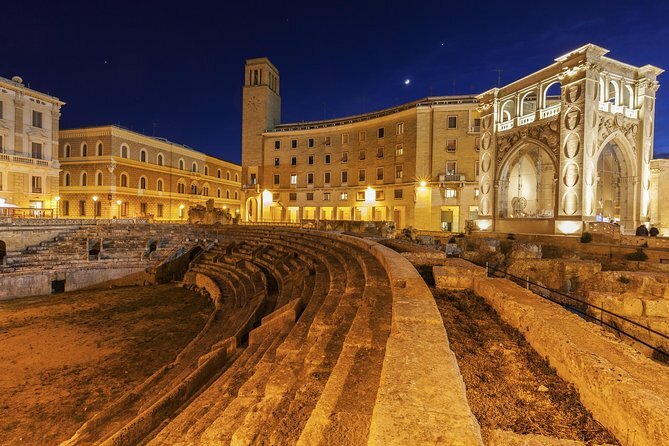 Return to Lecce in the afternoon.